April 28, 2016 – (Becket, MA) Following the critical acclaim and record-breaking ticket sales and attendance of Festival 2015, Jacob’s Pillow Dance Festival will soon kick-off a new season of exciting programming featuring international artists, world premieres, an impressive number of engagements set to live music, and more than 200 free performances, talks, and exhibits. Expanding upon its robust community programming, the Pillow will now also hold open-level classes with Inside/Out artists throughout the Festival, a first-time offering this season. 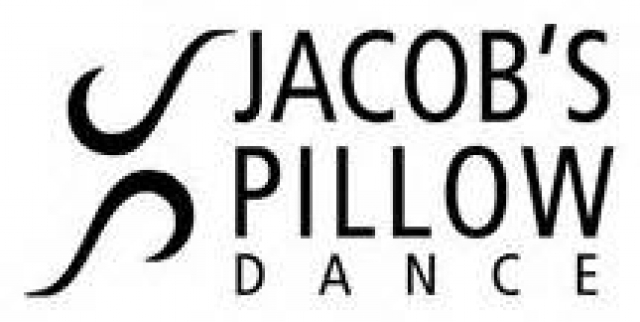 The 2016 season signals an exciting new era in Pillow history, as new Jacob’s Pillow Director Pamela Tatge takes the helm of the organization. Highlights of Festival 2016 include a world premiere engagement And Still You Must Swing created by tap dance powerhouses Dormeshia Sumbry-Edwards, Derick K. Grant, and Jason Samuels Smith; former New York City Ballet principal dancer Wendy Whelan and choreographer Brian Brooks in an evening of new duets and solos, accompanied by eminent string quartet Brooklyn Rider and titled Some of a Thousand Words; rare U.S. appearances by France-based Compagnie Hervé KOUBI and South Korea-based contemporary ensemble Bereishit Dance Company; the powerful all-male company Che Malambo of Argentina; and the return of the eminent Seattle-based company Pacific Northwest Ballet. Tickets are on sale to the public through the Box Office at 413.243.0745 or online at jacobspillow.org. Jacob’s Pillow is a National Historic Landmark, recipient of the National Medal of Arts, and home to America’s longest-running international dance festival. This season, dance companies from across the U.S. and around the globe travel to Becket, Massachusetts to take part in the 84th annual Festival. Festival 2016 international companies include Gauthier Dance//Dance Company Theaterhaus Stuttgart from Germany, France-based Compagnie Hervé KOUBI with dancers from Algeria and Burkina Faso, among others previously mentioned. American companies hail from Aspen, CO and Santa Fe, NM (Aspen Santa Fe Ballet and Juan Siddi Flamenco Sante Fe); Chicago, IL (Hubbard Street Dance Chicago and Hubbard Street 2); Seattle, WA (Pacific Northwest Ballet); Philadelphia, PA (BalletX); and New York City (ZviDance, ARIAS Company, Dorrance Dance, Pam Tanowitz Dance, FLEXN, and others). Festival 2016 features the most live music in recent years, prevalent throughout the season and featured in no less than half of all Festival engagements including Juan Siddi Flamenco Sante Fe, Pam Tanowitz Dance and FLUX Quartet, Dorrance Dance, Bereishit Dance Company, BalletX, And Still You Must Swing, New York Theatre Ballet, Souleymane “Solo” Badolo, and Wendy Whelan and Brian Brooks with Brooklyn Rider, among others. The Pillow is committed to presenting and commissioning new work; Festival 2016 features many world premiere engagements including evening-length works by Dormeshia Sumbry-Edwards, Jason Samuels Smith, and Derick K. Grant; and Bryan Arias. Jacob’s Pillow co-commissions include a work for Aspen Santa Fe Ballet by Cayetano Soto and a world premiere by Jessica Lang performed by Pacific Northwest Ballet. Many Festival 2016 artists have also developed work during Creative Development Residencies at Jacob’s Pillow, including Michelle Dorrance, Bryan Arias, and Adam H. Weinert. Throughout the Festival, more than 200 events including performances, talks, tours, exhibits, films, classes, and community events are free and open to the public. Presenting both emerging and esteemed dance artists from across the U.S., Jacob’s Pillow Dance Festival’s Inside/Out performance series will return to the outdoor Henry J. Leir Stage at the breathtaking Marcia & Seymour Simon Performance Space, every Wednesday through Saturday at 6:15pm, June 22-August 28. An essential part of the Pillow's mission and a beloved tradition, Inside/Out performances are free and open to the public, featuring family-friendly and diverse dance styles ranging from classical ballet and hip-hop to tap, and folkloric dance. New this year, the Pillow offers classes taught by Inside/Out artists in varying styles including swing dance, ballet, Gaga technique, and more. Occurring twice a week during the Festival, PillowTalks are part of a free, curated series of entertaining and informative discussions with choreographers, writers, filmmakers, and cultural experts. Moderated by Pillow Scholars, PillowTalks provide an excellent opportunity to gain behind-the-scenes insight. This year’s highlights feature talks with Pulitzer Prize-winning Sarah Kaufman, The New York Times dance critic Brian Seibert, and iconic dance photographer Lois Greenfield, among others. This year, Jacob’s Pillow extends the reach of the Festival beyond its grounds. Acclaimed Brooklyn-based dance company Urban Bush Women will host movement classes, lecture-demonstrations, and engagement activities for the community with a primary focus on teenage African-American girls in nearby Pittsfield and North Adams, MA. In collaboration with the Berkshire Museum in Pittsfield, Dance Rules Everything Around Me (D.R.E.A.M.) will offer a day of workshops, discussions, and a performance/competition showcase with flex dance artists Reggie ‘Regg Roc’ Gray, Jason Cust, and 10 flex dancers on July 22. In addition to these classes, Bridgman | Packer Dance’s mobile dance performance TRUCK will come to downtown Pittsfield, MA on June 16. Free and open to the public daily throughout the Festival, Blake’s Barn will feature an exclusive exhibition focusing on large format images by preeminent photographer Lois Greenfield. The exhibit shares its title, Moving Still, with a just released volume from Chronicle Books, Greenfield’s first publication in nearly twenty years. Exhibited in the Ted Shawn Theatre Lobby, Building the Pillow will feature rare photos of the site’s early development and evolution throughout the past century. Dance-related works of acclaimed artist Al Hirschfeld will be seen in Hirschfeld on the Move, featured in the Doris Duke Theatre Lobby to herald the availability of new Hirschfeld merchandise in The Pillow Store. The artist faculty members of The School at Jacob’s Pillow are as equally international and diversely experienced as the Festival artists. The 2016 Program Directors include ballet luminary Anna-Marie Holmes; Ailey School and Juilliard faculty member Milton Myers, who celebrates his 30th year of mentoring and coaching at The School at Jacob’s Pillow; Broadway veteran, choreographer, and director Chet Walker; and the esteemed founder of Urban Bush Women, Jawole Willa Jo Zollar. The Program Directors will be joined by dance artists, choreographers, and artistic directors from across the globe. The Ballet Program roster includes American Ballet Theatre principal dancer Xiomara Reyes, NBA Ballet Company Artistic Director Koichi Kubo, and former Boston Ballet principal dancer Yury Yanowsky, who will create a new work on program dancers for the season opening Gala. Jawole Willa Jo Zollar directs the new 2016 program entitled Improv Traditions & Innovations: From Ring Shout to Blues to Jazz. Program faculty includes Harvard University PhD candidate in African & African American Studies Lizzy Cooper Davis; two-time Fulbright Fellow Award recipient Nia Love; former company member and rehearsal director for Urban Bush Women, Chanon Judson; Artistic Director of Junebug Productions, Stephanie McKee; and choreographer, performer, and Urban Bush Women company member Samatha Speis. Contemporary Program Director Milton Myers leads a diversely talented faculty, including sought-after choreographer Annabelle Lopez Ochoa, Atlanta Ballet Resident Choreographer Helen Pickett; Alonzo King LINES Ballet Master Arturo Fernandez, former Juilliard School faculty member Alphonse Poulin; and the Artistic Director of the Dance Division at The Juilliard School Lawrence Rhodes, among others. Open daily, noon to 10pm Wednesdays-Saturdays, noon to 5pm Sundays-Tuesdays. Open 60 minutes prior to every performance. An ever-expanding website allows new dance lovers and esteemed aficionados to enjoy highlights from 83 seasons of Pillow performances anytime. Visit danceinteractive.jacobspillow.org to discover video excerpts from artists including Savion Glover, Martha Graham Dance Company, Carmen de Lavallade, Merce Cunningham Dance Company, and Pillow founder Ted Shawn and his Men Dancers, among countless others. Open to all experience levels, Jacob’s Pillow Morning Classes take place each weekday morning in the historic Ruth St. Denis Studio on the Jacob’s Pillow grounds. The class schedule include Pilates with Pilates Certified instructor Sean P. Gallagher on Monday; African Dance with Marilyn Sylla on Tuesday; Ballet with Sharon MacDonald on Wednesday; Zumba with Ilana Siegal on Thursday; and Modern with Festival 2016 artist Adam H. Weinert on Friday. Other guest artists to be announced. All participants must be age 16 and over; $10 per class or $50 for a 6-class card. Participants younger than 18 will require a parent’s signature on a liability waiver. Led by Pillow Artist-Educator Jeff Bliss, this intergenerational class is a unique opportunity for children and adults to experience the joy of creating simple dances together. Families Dance Together is for children ages 5-18, accompanied by an adult. Participants under 18 years require a parent signature on liability waiver. Classes are $5 per adult and $1 per child. Families Dance Together is a Jacob’s Pillow/Becket Arts Center collaboration. Artist dates and descriptions follow. Select Festival artist descriptions include links to supplemental video clips within Jacob’s Pillow Dance Interactive, featuring past Jacob’s Pillow performances. Performed in the confines of a 17 foot box truck, Bridgman | Packer Dance’s visceral, site-specific work is an unconventional performance where dance, video projection, image, and reality collide. In this non-traditional, accessible performance aimed to bring dance to audiences of all backgrounds, Guggenheim Fellows in Choreography Art Bridgman and Myrna Packer create an evocative and humorous world which explores how context changes perception. TRUCK will be performed at a Members-Only event at Jacob’s Pillow on June 11, as part of the City of Pittsfield’s Third Thursday community event on June 16, and at the Jacob’s Pillow Season Opening Gala on June 18. The exclusive Season Opening Gala event will include a special performance of Bridgman | Packer’s TRUCK, Festival 2016 artists Aspen Santa Fe Ballet and Dorrance Dance, Camille A. Brown & Dancers, the dancers of The School at Jacob’s Pillow’s Ballet Program in a world premiere created by former Boston Ballet principal dancer Yury Yanowsky, and other artists. This signature fundraising event also includes the presentation of the 2016 Jacob’s Pillow Dance Award, the opening of a new Lois Greenfield exhibit, and both live and silent auctions, followed by dinner and dancing to live music by Bev Rohlehr and The Colbys and DJ BFG. Celebrating its 20th anniversary, Aspen Santa Fe Ballet opens Festival 2016 in a program showcasing the 13-member ensemble’s versatility and artistic range. Renowned for technical prowess and stunning performance, “the dancers of Aspen Santa Fe Ballet seem as comfortable in acrobatic turns and loose limbed falls as they are in soaring grand jetés and crisp fouettés” (Janine Parker, The Boston Globe). The program includes the East Coast premiere of a Pillow-commissioned work entitled Huma Rojo by Spanish choreographer Cayetano Soto, as well as Alejandro Cerrudo’s poetic Silent Ghost set to an alternative rock score including contemporary composers Dustin Hamman, King Creosote & Jon Hopkins, Ólafur Arnalds, and Nils Frahm. Tickets start at $45. Led by dancer and Artistic Director Juan Siddi, the 14 dancers and musicians of Juan Siddi Flamenco Santa Fe present a program of flamenco dance and powerful live music. Founded in Santa Fe in 2008 and in artistic partnership with Aspen Santa Fe Ballet since 2014, the company’s “physical bravado” and “fabulous footwork” (Emmaly Weiderholt, Santa Fe Reporter), captures the form’s rich cultural heritage and infuses it with a unique, contemporary flair. Virtuosic musicians and vocalists, many hailing from Spain, heighten the dramatic power of this electrifying ensemble. Tickets start at $25. Festival artist Juan Siddi Flamenco Santa Fe will teach a master class open to all intermediate and advanced dancers ages 16 and over. Pre-registration is required, call 413.243.9919 x5 the week of the class to register. Quiet observation is welcome; $15 per class or $80 for a 6-class card. Participants younger than 18 will require a parent’s signature on a liability waiver. Founded in 2007 under the direction of renowned France-based dancer and choreographer Gilles Brina, the Argentinian ensemble Che Malambo presents the traditional dance of South American cowboys (“gauchos”) in an evening of “rapid-fire rhythms” and “spinning boleadors” in a “rousing group spectacle” (Siobhan Burke, The New York Times). The company of 14 male dancers integrates live drumming and swift, intricate footwork in an evening-length display of the 17th century-styled competitive duel of Malambo, a test of strength, agility, and speed. Tickets start at $39; $10 Youth Tickets available for all shows. In a rare U.S. appearance, Seoul-based Bereishit Dance Company makes its Jacob’s Pillow debut in a highly-physical program blending innovative partnering, extraordinary isolations, and moments of theatricality with a fresh perspective. Founded in 2000 by choreographer Soon-ho Park, the company presents the rigorous male duet BOW inspired by the sport of archery and the boundary between dance and athletics. The program also includes the “impressive and unforgettable” (Gesa Polert, Germany’s Rheinische Post) Balance and Imbalance, featuring clever interplay between the cast of five dancers and a pair of onstage traditional Korean drummers accompanied by a pansori singer. Tickets start at $25. Former Batsheva Dance Company member Danielle Agami gives a master class in the Gaga technique created by Israeli choreographer, teacher, and artistic director Ohad Naharin. A structured improvisation meant to create awareness of the body. Open to all experience levels, ages 16+; $10 per person. Pre-registration is required. Participants younger than 18 will require a parent’s signature on a liability waiver. The Pillow hosts Free Fun Friday, supported by the Highland Street Foundation, with free daytime activities including classes, Kids Corners, a guided tour of the historic grounds, and a family-friendly performance by hip-hop duo The WonderTwins on the Inside/Out stage with stunning views of the Berkshire Hills. For more information about Free Fun Fridays please visit highlandstreet.org/freefunfridays. Festival artist Bereishit Dance Company will teach a master class that is open to all intermediate and advanced dancers ages 16 and over. Pre-registration is required, call 413.243.9919 x5 the week of the class to register. Quiet observation is welcome; $15 per class or $80 for a 6-class card. Participants younger than 18 will require a parent’s signature on a liability waiver. Our Last Tango is the story of Tango Argentino’s legendary stars, Maria Nieves Rego and Juan Carlos Copes, who recall their triumphs and tempestuous personal relationship, punctuated with sizzling dance sequences. Tickets $10. Following Festival 2015’s sold-out engagement in the Doris Duke Theatre, Germany-based Gauthier Dance//Dance Company Theaterhaus Stuttgart takes the Ted Shawn Theatre stage with their signature wit, charming edge, and stunning display of versatility. The program includes the return of emerging choreographer Po-Cheng Tsai’s theatrical Floating Flowers, Israeli choreographer Itzik Galili’s Cherry Pink and Apple Blossom White, and Spanish choreographer Cayetano Soto’s CONRAZONCORAZON, created specifically for the company. The program will close with Mauro Bigonzetti’s tour-de-force Cantata with original and traditional music from southern Italy performed live onstage by Gruppo Musicale Assurd. Tickets start at $45. Three of the world's most celebrated tap luminaries come together in an evening of live music and tap dance in the world premiere And Still You Must Swing. Each returning to the Pillow after various standout performances, Dormeshia Sumbry-Edwards joins forces with Derick K. Grant and Jason Samuels Smith to present a dynamic project that captures the heart and legacy of tap dance, honoring the profound influence of jazz and beyond. The program embraces masterful technique, musicality, and improvisation, with a stellar cast and critically-acclaimed guest artists including 2016 Jacob’s Pillow Dance Award recipient Camille A. Brown. Tickets start at $25. Artistic Director Hari Krishnan of Toronto-based inDance presents works that acknowledge the burdens and legacy of Eastern and Western tradition. Krishnan performs solo work Tiger by the Tail, set to live music by inDANCE’s resident percussionist Kajajeyan Pararasasegaram. Trained by prestigious flamenco artists in Sevilla and Madrid, Spain, Marina Elana has toured both nationally and internationally. Elana presents Marina Magalhães, an improvised solo flamenco performance featuring live musical accompaniment by a vocalist and a guitarist. New York City-based Calpulli Mexican Dance Company focuses on stories, histories, and messages that can be captured in folkloric, contemporary, and classically-influenced interpretations of Mexican and Mexican-American culture. Led by Artistic Director Alberto Lopez, the program will feature a cross section of the company’s repertoire from Aztec-inspired rituals to the Caribbean-infused rhythms of the Gulf coast set to Mariachi serenades played live. FREE. This year’s Jacob’s Pillow Dance Award recipient Camille A. Brown returns to the Pillow stage this week, and discusses her unique personal journey, recent TED Talks, and upcoming projects. FREE. Artists from Festival engagement And Still You Must Swing will teach a master class that is open to all intermediate and advanced dancers ages 16 and over. Pre-registration is required, call 413.243.9919 x5 the week of the class to register. Quiet observation is welcome; $15 per class or $80 for a 6-class card. Participants younger than 18 will require a parent’s signature on a liability waiver. An international force in contemporary dance, Hubbard Street Dance Chicago holds an unparalleled reputation for versatility, stunning technique, and compelling performances. Led by former Nederlands Dans Theater Artistic Director Glenn Edgerton and now celebrating its 38th season, the company brings a program that exhibits its prowess and range “driven by energetic, charismatic dancers” (Janine Parker, The Boston Globe). They perform Solo Echo, a gripping interpretation of two Johannes Brahms sonatas for cello and piano, created by Jacob’s Pillow Dance Award-winner and Artistic Director of Kidd Pivot, Crystal Pite. The program will also include master choreographer William Forsythe’s quartet N.N.N.N., a work of intricate pedestrian gestures and delightfully complex rhythms. Tickets start at $45. Hubbard Street Dance Chicago’s dynamic early-career ensemble, Hubbard Street 2, presents the imaginative voyage of a restless girl, Mariko, who finds inspiration from her mother’s vinyl records. In a quest for friendship and self-discovery, the young heroine sets off to explore a colorful world of dance and music conveyed through vibrant video projections and shadow puppetry. Created by Princess Grace Award-winning choreographer Robyn Mineko Williams in collaboration with designers and shadow puppeteers Manual Cinema, this family-friendly show brings compelling storytelling to Hubbard Street’s signature, superb performance quality. $10 youth tickets available for all performances. Adult tickets start at $25; $10 Youth Tickets available for all performances. Led by The Yard’s Executive Director Alison Manning and Director of Island Programs & Education Jesse Keller, DanceTheYard (DTY) is the resident dance collective of The Yard at Martha’s Vineyard. In an effort to support emerging choreographers, DTY’s directors work with a collective of professional artists to create an emerging body of work for presentation locally and nationally. Performers include alumni of The School at Jacob’s Pillow. FREE. Boston Ballet faculty member Kevin Jenkins teaches an all-levels ballet barre class. Open to all experience levels, ages 12+; $10 per person. Pre-registration is required. Participants younger than 18 will require a parent’s signature on a liability waiver.